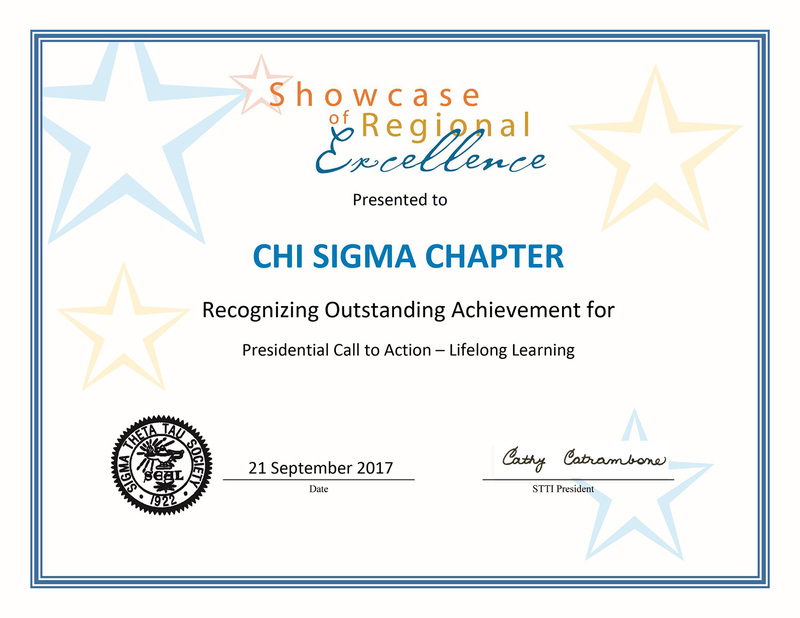 MACOMB, IL – The Western Illinois University chapter of Sigma Theta Tau International (STTI) Honor Society of Nursing has been recognized through the Showcase of Regional Excellence for its efforts to fulfill call to action by the society's president through lifelong learning. WIU's Chi Sigma chapter was honored based on information they provided in the 2016-17 Chapter Annual Report. "We are proud of the efforts and work that the Chi Sigma chapter has done since our induction in October 2015," said chapter advisor WIU Assistant Professor of Nursing Sandra Nash. "Our chapter continues to strive for the professional nursing qualities of advocacy, philanthropy and lifelong learning." STTI is a not-for-profit organization whose mission is to improve the health of people worldwide through leadership and scholarship in practice, education and research. Founded in 1922, members include practicing nurses, instructors, researchers, policymakers, entrepreneurs and others. The honor society's more than 480 chapters are located at institutions of higher education throughout the United States, as well as in Australia, Botswana, Brazil, Canada, Colombia, Ghana, Hong Kong, Japan, Kenya, Malawi, Mexico, the Netherlands, Pakistan, Singapore, South Africa, South Korea, Swaziland, Sweden, Taiwan, Tanzania and Wales. For more information on Western's School of Nursing, visit wiu.edu/nursing.